Had Valensole been chosen to host ITER, there would have been no need to build a platform—nature had already provided it in the form of a perfectly flat plateau of 13,000 hectares. 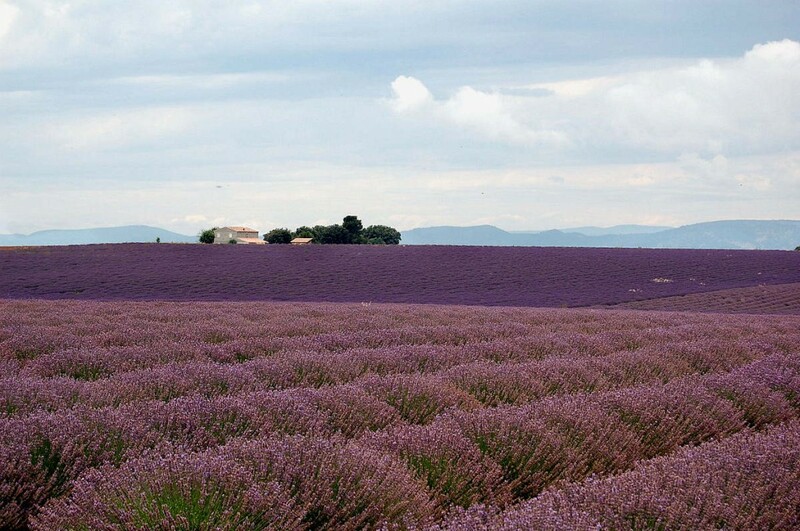 In the summer, under a bright blue canopy, the Valensole Plateau epitomizes Haute-Provence. Dotted with small farmhouses and dry stone cabins, the lavender fields and almond-tree plantations sprawl as far as the eye can see. In the winter, when fields are bare and storms gather over the plateau, it feels more like Tibet or the Bolivian Altiplano. Rising high over the horizon to the north, the snow-capped foothills of the Alps remind the visitor of the Andes or the Himalayas. Despite a recent drop in production and fierce competition from places such as China, Romania or Bulgaria, lavender (and its hybrid lavandin) is what Valensole is all about: the better part of the 10,000 hectares of lavender in the Alpes-de-Haute-Provence département are grown here. Lavender, whose name derives from the Latin lavere meaning "to clean," has been used since the earliest time to cleanse and disinfect. The perfume and detergent industry are now the main outlets for the essence, which one extracts from the lavender plant through a distillation process. Depending on location and plant variety, yields vary from 15 to 60 kilos per hectare. Like wine, cheese or olive oil, the finest lavender essences have been granted the Appellation d'Origine Contrôlée label (AOC, or Controlled Term of Origin). Every household in Provence stores a small vial of lavender essence that is used to treat sores, cuts, burns and insect bites. There may be some, also, in other places very far from Provence: in the early hours of 1 July 1965—in what was to become one of the most famous UFO "Close Encounters of the Third Kind" in Europe—two small creatures were reportedly seen picking lavender plants next to their diminutive spacecraft.